Actor Dawn Jani Birley plays Horatio in a new adaptation of Shakespeare's Hamlet, which is narrated entirely in American Sign Language. Prince Hamlet is a new adaptation of Shakespeare's famous play that puts sign language at the centre of the story. Actor Dawn Jani Birley plays Horatio, who narrates the entire tale in American Sign Language. While some actors have speaking roles, no one interprets the sign language for the audience. As an actor who is deaf, Birley is used to playing characters who are specifically written as deaf, but her character in this production is one whose hearing loss is not a defining characteristic. 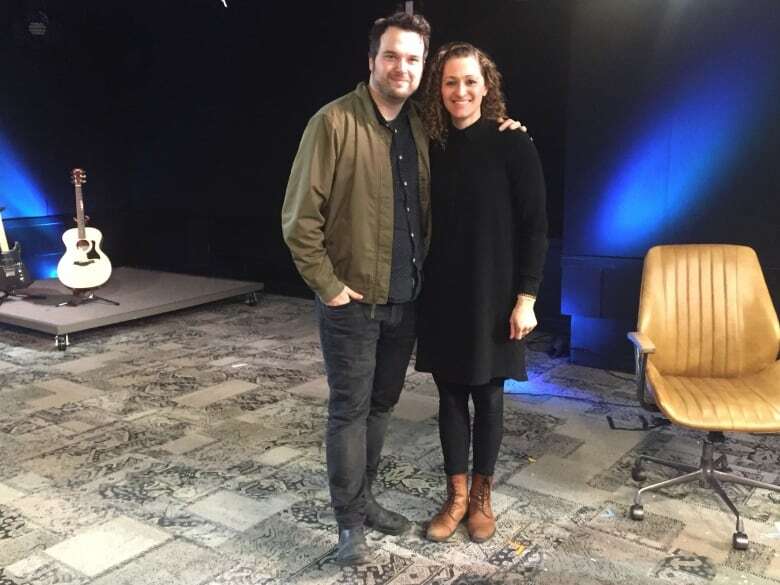 She joins Tom Power in the q studio to tell us more about what it's like to perform in American Sign Language and why so many artists who are deaf decide to move to Finland. Prince Hamlet opens tonight at the Berkeley Street Theatre in Toronto and will tour to the National Arts Centre in Ottawa at the end of the month. Read the full transcript from the interview below. TOM POWER:Hamlet is one of Shakespeare's most famous plays. How familiar with were you with Hamlet before you began this project? DAWN JANI BIRLEY: I was familiar. I was first exposed to Shakespeare in high school in English class. My teacher was a fanatic for Shakespeare, and I was stuck with her for the full duration of my high school career. That was my introduction to Hamlet and other Shakespeare plays as well. So I was familiar with the play before going into this. TP: Were you a fan (of Shakespeare)? DJB: Yes and no. I was young... so at the age of 14, 15, or 16 ... Shakespeare wasn't really my thing. But as I got into acting as a profession, well, now I have to say I am very grateful to my high school English teacher. TP: Yeah! High school English teachers are like piano lessons. You don't wish you had them until WAY too late in life. TP: How common are plays like Prince Hamlet, with an actor signing to a hearing audience with no interpreter? DJB: I can't say this with any certainty, but I am fairly sure that this has never existed before in Canada. What we are offered as deaf audience members and deaf patrons is not this kind of theatrical experience. There aren't a lot of deaf performers in Canada, and the idea of representation in Canada is very, very weak relative to other areas. So I'm really delighted to see that this show has really taken off here in Canada. It's a radical idea what we're doing in Prince Hamlet. It's what we call intersectional theatre and I'm really proud of what we've put together. TP: You have a very important role in this play. You're Horatio ... the narrator. What does it mean to you personally to take on such a crucial role? DJB: At first, I didn't really know what I was getting into. I had to say "Sure! Cast me as Horatio. I'm in!" First day of production came. ... Ravi Jain our director and I were working together to try and imagine what this story might be like. How was I going to perform as Horatio, the storyteller of this production? I realized as we were going through, the enormity of that responsibility. As a deaf person, I feel that we don't have a lot of voice and many people aren't interested in our stories. Now I have the opportunity that, Hamlet, in the play has asked me, Horatio, to tell the world this story. At the end of the whole play, Hamlet reaches out to Horatio and says, "Tell the world my story." To me, that's a gift of empowerment that I am entrusted. Horatio was entrusted by Hamlet to tell this story. 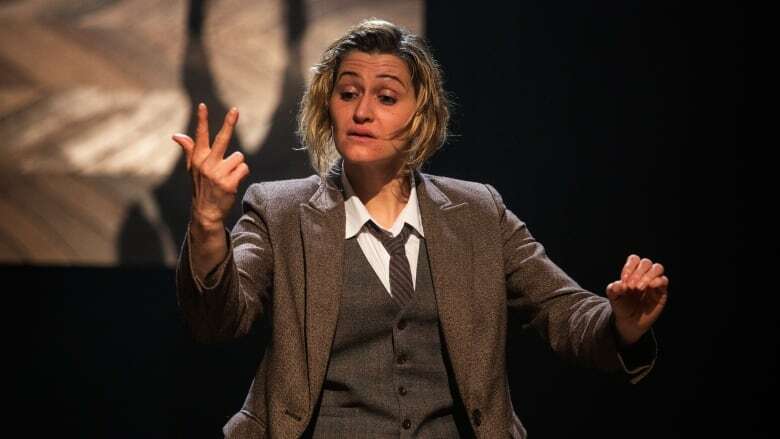 As a deaf character and as a deaf performer, it gives a new perspective on storytelling. I think many people have heard [these stories], and now we're challenging them to see these stories. There are so many ways to communicate. So many ways to tell a story. This is ours. TP: As you mentioned, we don't see many plays like this in Canada. In Prince Hamlet, you are doing scenes with actors who are just speaking their lines. How do you keep track of where you are in the script when the actors in the scene aren't necessarily signing back at you? DJB: It's been a real challenge. That's the game we've been playing all along, for sure. When we began to create the show, honestly we had no idea what we were doing. It emerged out of the process and we had to trust each other and we had to have enormous trust in the process. As a deaf actor, I've worked with many hearing actors so I know that my team needs to understand what it's like to share a stage with a deaf actor and a deaf colleague. I have a lot of skill in reading body language ... but it wasn't until the fourth week of rehearsal in our first run of Prince Hamlet that [director] Ravi Jain and I came to the realization that we needed to build this production in a special way. Sometimes I read the lips of performers to know where they are in the script. Sometimes we build in physical cues so that I can follow. But I have to memorize the whole show! I did the translation of the Shakespearean text into ASL, and I taught some of the hearing actors some signs. So we were trying to stumble on ways that we could tell the same story to two audiences (deaf and hearing). TP: That must be a challenge. Shakespeare Is so well known for his metaphors and wordplay.Was it tough translating into sign language? DJB: Yes. Excuse my language. I'm not sure if I can say this, but no s**t, it's challenging! Absolutely it is. Shakespearean English is extraordinarily difficult and dense. It's rich with playfulness and metaphor. As I read the text, it's an exciting challenge for me to figure out what it essentially means, and how I can provide a translation that is equally rich and enjoyable to a deaf audience. It's not an exact representation in conversational ASL (American Sign Language), it's artistic. Many deaf people don't have a lot of experiences with Shakespeare. English is often a second language for deaf people, and so I want to ensure that they have access to the beauty and poetry of the text. TP: You grew up in Regina in Saskatchewan, doing taekwondo at a very professional level. When did you know you wanted to be an actor? It's not every day I see that jump from taekwondo to acting. DJB: That's a long story. I don't know how much time you've got but I will try and make it brief. I was born deaf. I come from a third generation deaf family. My grandparents are deaf. They were farmers in Saskatchewan. When I was seven years old, I saw a Bruce Lee movie and I thought this is it. I want to be Bruce Lee. When I told my parents that I wanted to get into taekwondo they were a little concerned. They didn't see me in that world. I went to my uncle who assisted me in signing up for a class, and I felt that once I started, it was a talent that I seemed to have been born with. I took to it like a fish to water. At the same time, I was always interested in the theatre and in arts. I liked to go into my grandmother's closet and play dress up, and I would convince my baby sister, who is also deaf, to come and play with me. We would do full makeup and create these little skits and stories, which we would perform for my family. As time went on, I was attending a mainstream school with hearing students and they did have a theatre program. But when I approached the program and asked to be part of it, I was told that they didn't have adequate resources to involve me as a deaf person in their theatre program. I wasn't permitted to participate. It was when I moved to Europe that I was first exposed to professional sign-language theatre. They have them in Sweden, Finland, and Norway — and it was a really natural fit for me. I began to work with some of those companies. At first I was behind the scenes. I kept looking at the actors on the stage and I thought, "You know what? I am in the wrong place. I need to be on the stage." Once I tried it, that was it. I was hooked. The rest is history. TP: You mentioned earlier, about having more opportunities now that you live in Finland. What has your experience been in Finland as an artist with a disability? DJB: First of all, it's interesting that you chose the word disability for a deaf person. I don't view myself as somebody with a disability. We are a linguistic minority, and that's how many of us identify. Our language is what keeps us apart. But to answer your question, here in Canada, the government support provided to deaf people is really quite weak, and continuing to fall behind other countries. In Finland, I have the right to access interpreters for any reason. For instance, I can attend an actor's night-out social with an interpreter, which allows me to network. Right now, the interpreter who's currently with us — Kate Lewis — is being paid for by the Finnish government. So these opportunities would never happen for me if I had to rely on the resources that were here in Canada. TP: First off, I appreciate your clarification there and I feel like I'm learning so much throughout this conversation. One last question about Prince Hamlet. When people see this show, when they get in their cars or on the bus, what kind of conversations would you like them to be having with one another? DJB: It's a good question. I've wondered this myself. Yes, we're telling the story of Hamlet, but I believe that we have other purposes and other intents behind our production. Prince Hamlet is an extraordinary example of intersectional theatre. Our cast is very diverse. We have people of colour. We have hearing actors. We have myself as a deaf actor. We are not doing traditional gender casting. So we have an enormous amount of diversity that we're using to tell this story. And I think that we're looking at how a number of minority communities would be able to benefit from theatre through this process. It allows for different kinds of stories to be told by different kinds of people.